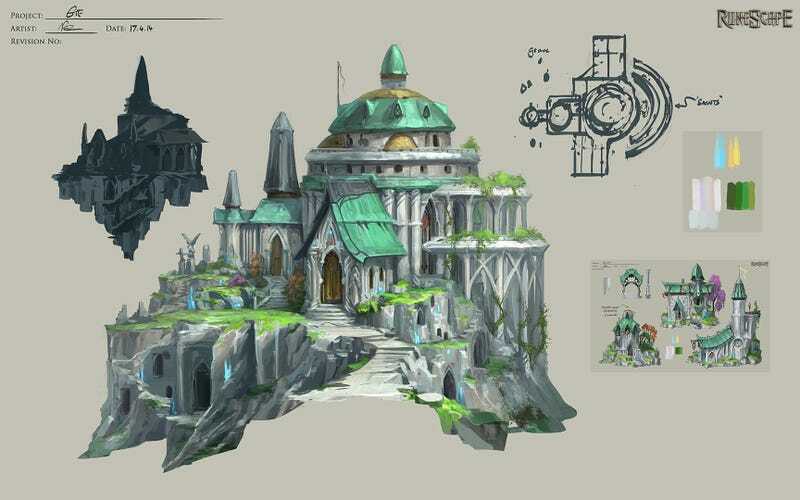 Since its launch way back in 2001, browser-based massively-multiplayer online role-playing game RuneScape has received a steady stream of updates, but never anything as ambitious as its first expansion pack, Lost City of the Elves. So expansive it's being released in three parts, the Lost City of the Elves expansion begins today with the epic "Plague's End" quest, a massive undertaking for high-end players that will culminate with the unlocking of the first half of the elf city of Prifddinas — the largest city the game has ever seen — in September. The second half will be unlocked in October. That makes it so large it takes a month to travel from one end to the other, sort of. Along with the new city, players can expect new skills, fresh loot, and hundreds of hours of fresh gameplay. "Launching the Lost City of the Elves is a landmark in the history of this extraordinary game. We've captured the imagination of hundreds of millions of players for the past 13 years, and so many of them have been waiting for this city," said David Osborne, senior narrative designer of RuneScape via official press release. "Developing this high level, aspirational Lost City of the Elves expansion pack has been a huge responsibility, but tremendously fun for the entire team." What impresses me the most about this expansion is that it's the culmination of a dozen years of questing, beginning with "The Plague City" quests in 2002. Damn, this elf city better be worth it. RuneScape (technically RuneScape 3 at this point) is free for all to play as long as they can stand it. You can play it right in your browser window here.